Measure the coverage of stump treatment e.g. in case of fungus of the genus by taking photos from treated stumps! The application reports how well the treatment has succeeded. 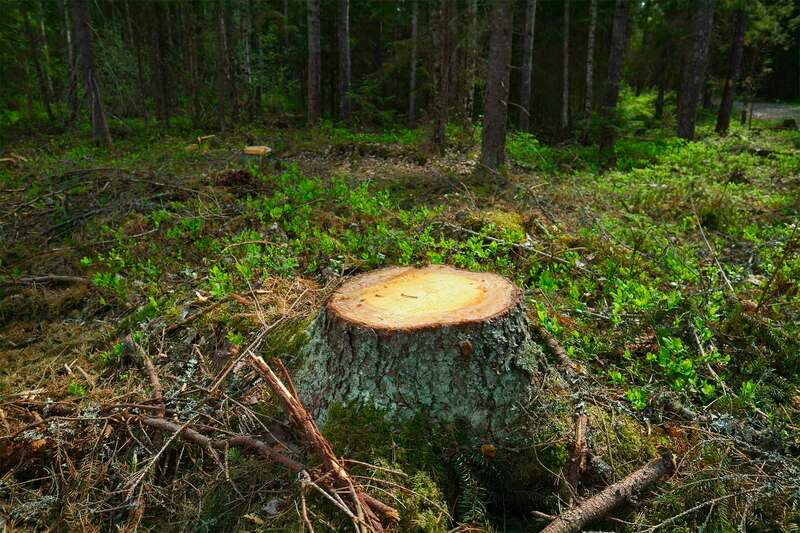 Finnish law regulates that the company cutting the forest must take care of preventing the fungus of the genus at the risk areas. One of the prevention methods is treating the stump with an approved stump treatment solution. 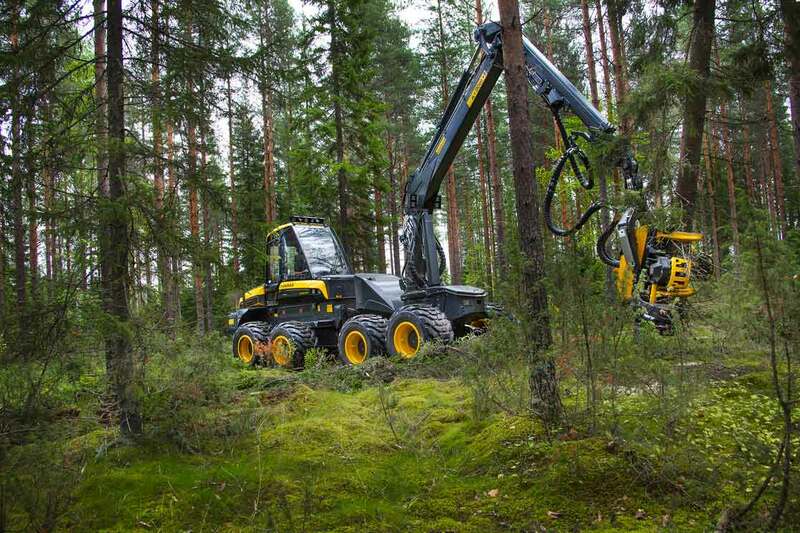 The liquid is automatically sprayed via the harvester head when cutting the wood. To successfully prevent the fungus from spreading the coverage in the stump head must be at least 85%. 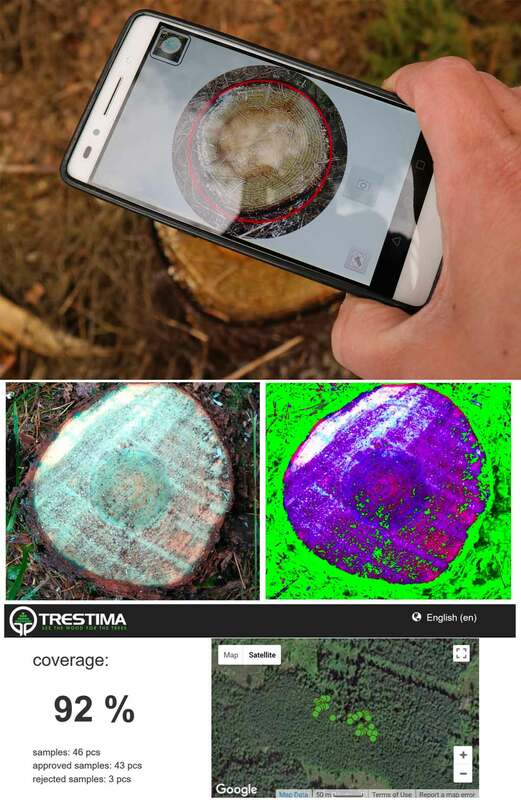 TRESTIMA has developed together with Finnish Forest Center an application that can be used for quick and easy measurement of the stump treatment coverage. With the TRESTIMA stump treatment measuring tool measuring stump coverage is easy: the stump heads are photographed holding the smartphone camera directly downwards. To achieve a reliable result at least 10 stumps must be photographed. Measuring takes roughly 5-10 minutes depending on the stand. The result is ready within few minutes after the last stump sample picture has been taken. The measuring report including pictures is easily distributed to all interested parties. Interested in learning more? Call or ask more by leaving a contact request using the form below.